The Cotswolds is the location in England that can claim the term "quaint" over pretty much anywhere else in the entire world. From beautiful gardens to a new adorable cottage around every corner, this is a wonderful place to rent a car and spend a day or two just getting lost (or if you're like me, having fun exploring every little village possible with a really good map). A scenic 1 to 1.5 hour drive north from Bath or a quick 45 minute highway drive over from Oxford, this is a great addition to a weeklong trip exploring England. 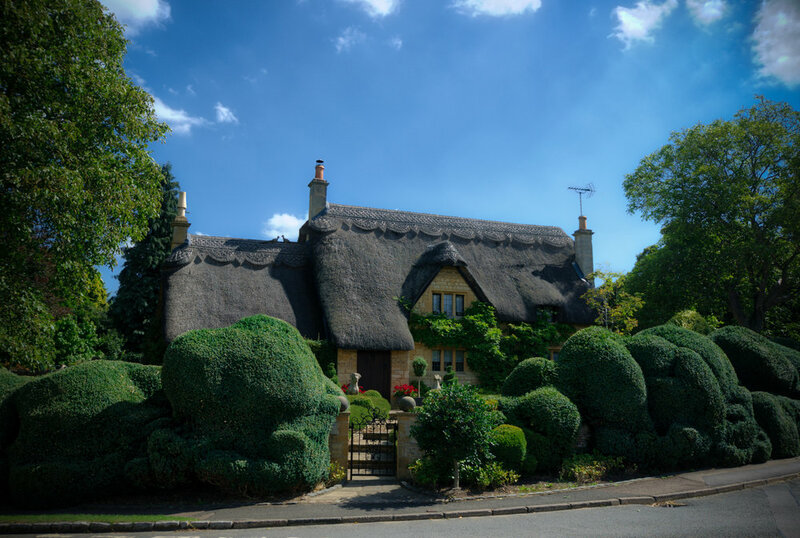 During my trip to the Cotswolds, a friend and I rented a car so that we could really explore this beautiful and quintessentially quaint place (yes, I will overuse this word, but just for this post). We used Auto Europe to pick up our car in Bath, drive around the Cotswolds for a day or two, and then drop it off in Oxford to continue our trip. We had a great experience with them, and we loved our little Skoda! The Cotswolds is all small roads and picturesque vistas, so if you've ever wanted to try out driving on the left side of the road, this is a great spot to do it. If you want to make the most of your driving time, pick up a copy of the best map in a local shop. The OL45 map shows every road, every trail, and every walking path around the major Cotswolds towns. It also comes with a free download for your phone so you don't have to unfold the whole map on the go, or use data to load Google Maps. Scheduling Note: If you accidentally make reservations to pick up your car on a Bank Holiday Monday.... you'll have to wait for them to open at a later time. Check the calendar and plan accordingly. Start your day in the Cotswolds at your B&B with a full English Breakfast to fuel yourself for exploring. This beautiful spread comes courtesy of the B&B we stayed at near Stow-on-the-Wold, Little Broom. After breakfast, make your way into Stow-on-the-Wold and enjoy a walk around the main square. Pop around the corner to see the Porch House, England's Oldest Inn. Then make your way to St. Edwards Church. The main church yard will look rather normal, but follow the path around to the back to find this incredible doorway framed by ancient trees. 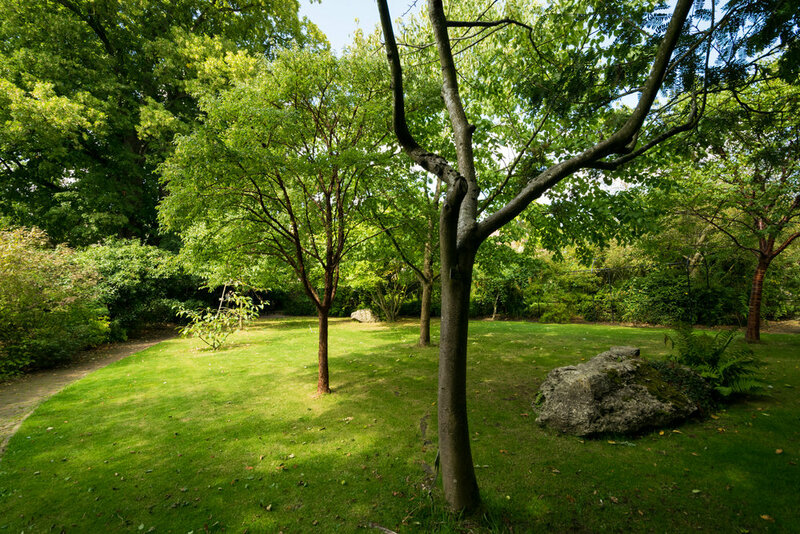 Park at Bourton House and take an hour to enjoy the beautiful garden there. The town itself is extremely small, so other than the garden, strolling up the street will yield a small parish church and a local inn. Pop back to the car and take the scenic route through Blockley & Broad Campden on the way to Chipping Campden. This is one of the biggest Cotswolds villages, so park and prepare to walk around and grab lunch. If you have a Rick Steves guidebook (my personal favorite), follow the short historical guided walk around the town center. If not, start in the town square, stop to read the historical plaque about the Market Hall, and head south to see some local craftsmanship at Hart Silversmiths. To find one of the most picturesque thatched roof cottages I've ever seen, continue down the road until you find the gem below. After you've taken your snapshots, head back into the center of town and go north this time. Walk the length of town and duck under a small arch in the wall to find a hidden garden. Enjoy the quiet for a few minutes, then go around the corner to have lunch at Eight Bells Inn. After lunch, drive south through Broadway and Stanton on your way to Stanway. If you happen to drive by on the right day, stop at Stanway House. The house is only open 3 hours a day, 2 days a week, for the three summer months (really specific I know). So if you happen to be driving around at one of those exact times, it's worth a stop! There is a great audioguide that takes you around the manor house, but sadly you can't take any pictures inside (I snuck the one below). You can, however, take as many pictures of the grounds and of the famous 300 foot tall fountain as you want, so spend a couple of hours enjoying a nice afternoon stroll if the weather is nice. If Stanway House is closed, make your way to Lower Slaughter instead. Have a drink or afternoon tea in the garden at the Slaughters Country Inn. Take a scenic walk through the fields to Upper Slaughter and back. At this point in the day, it's probably time to start thinking about dinner. I suggest indulging in the local gastro-pub scene at the Plough Inn at Ford. Enjoy the beautiful farm field vistas as you drive, then sit down to a delicious meal. After dinner, head back to your B&B in Stow-on-the-Wold. If you want some dessert, take an evening stroll into town and go to The Old Butchers to end a lovely day in the country. When planning to stay in the English Countryside, finding a quaint B&B and enjoying a full English Breakfast (like the one above) every morning is a must. This lovely B&B is located in Maugersbury, an easy walk down a tree-covered lane from one of the bigger Cotswolds villages, Stow-on-the-Wold. We reserved the studio apartment for two nights so that we could relax and spread out. Some bonus perks of this room are a little kitchenette and a washer/dryer, so if you want to keep some snacks on hand or plan on doing some laundry, this room is for you! Otherwise book a room in the main house. Every stay includes breakfast in the main house, and what a perfect start to the day that is. Fuel up and get ready for a day or two of exploring the beautiful countryside. I hope you enjoyed this day driving around the Cotswolds, and that some of my adventures inspire you to have a few of your own. If you follow my footsteps or even just use one of the suggestions, please let me know in the comment section below about your experience!